Verizon Wireless has released a new Mobile Broadband USB modem with global connectivity – ZTE AD3700, which able to provide users an access to high-speed networks in more than 175 destinations, supporting Evolution-Data Optimized (EV-DO), Global System for Mobile communications (GSM), General Packet Radio Service (GPRS), Enhanced Data Rates for Global Evolution (EDGE) as well as High Speed Packet Access (HSPA)/Universal Mobile Telecommunications System (UMTS) wireless platforms, ideal for folks who wanna stay connected while on the go. The AD3700 Mobile Broadband USB modem that compatible with Windows Vista, XP and 2000 OS includes VZAccess Manager software aimed for easy connection management and automatic installation, featuring swivel hinge USB 2.0 connector aimed for your convenient. 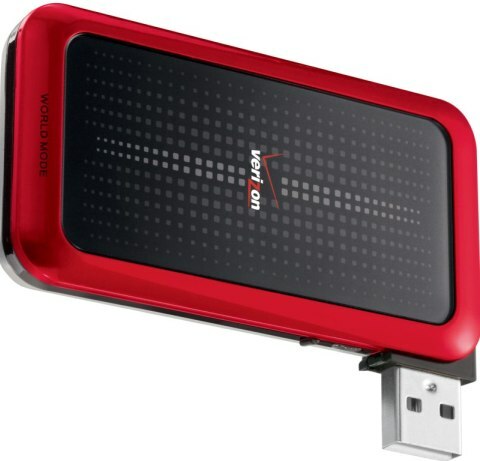 The Verizon ZTE AD3700 USB modem which measures 3.1 (H) x 1.7 (W) x 0.5 (D) inches and weights 1.6 ounces is now available in Verizon Wireless Communications Stores for $79.99, after a $50.00 mail-in rebate and a new two-year service agreement (Mobile Broadband plan).